Fieldtrip Motivational. . HD Wallpaper and background images in the Avatar: The Last Airbender club tagged: avatar the last airbender toph zuko motivational. I love the look on Zuko's face ^_^ it's so frigging adorable! how do you make a pic like that with the black border and captions and stuff? so true. So very, very true. lol I just realised he was blushing! 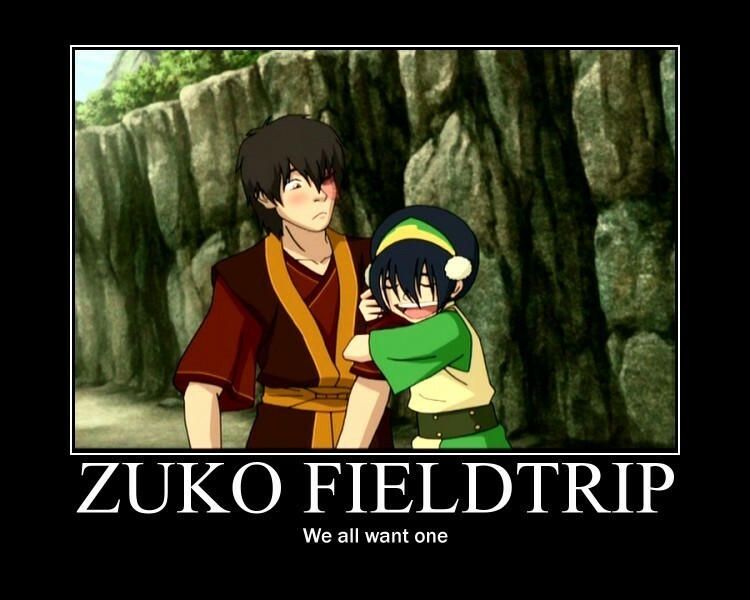 omg i want a zuko !!! awwwwwwww!!!!! hes blushing i could just kiss him!! !